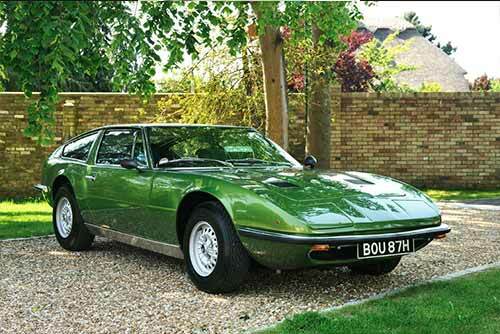 On 21 June, H&H Classics will offer this fantastic Verde Metallizzato 1970 Maserati Indy at its Rockingham Castle auction. 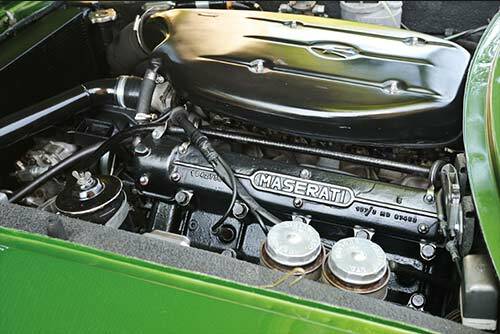 Maserati customers always valued effortless GT comfort over long distances rather than hair-raising performance, and few models epitomise this better than the Indy, the Vignale styled 2+2 first presented at the 1969 Geneva Show. The name ‘Indy’ commemorates Maserati’s victories at the Indianapolis 500 in 1939 and 1940. With a four-cam, 4.2-litre V8 producing 260bhp, the new car promised a top speed of over 150mph – for four adults. And it was able to deliver this in typical Maserati style: high quality leather, chromed switches and gear-lever, a practical glass hatch-back over the generous 18cu ft luggage area, with twin fuel tanks for serious European travelling. 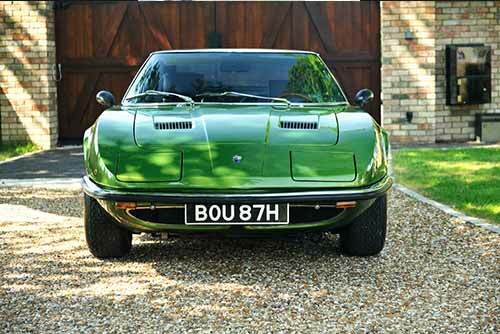 This Maserati Indy was first registered on 1 July 1970 and has spent much of its life in mainland Europe. It has been the subject of an extensive four-year restoration in Germany that included a bare-metal respray, thorough engine overhaul and full interior re-trim. For the last three years the car has been with the same British collector. 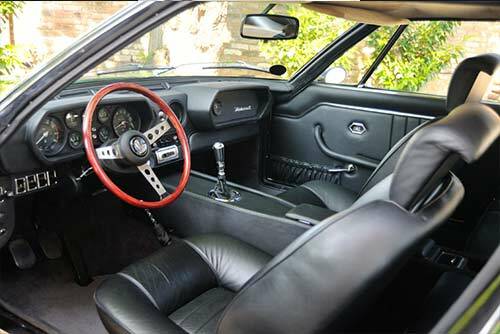 Left-hand drive, it has power-assisted steering and the desirable 5-speed manual gearbox. 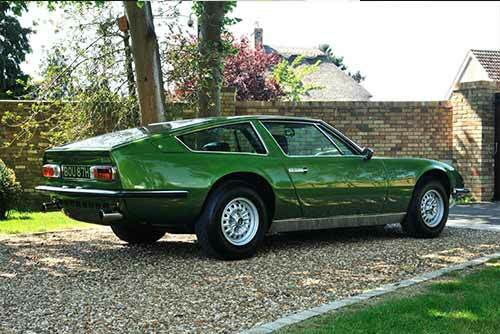 The 1970 Maserati Indy 4.2 is estimated at £35,000 – 45,000.